You’ve probably heard that when one door closes, another opens. The challenge is knowing when to grab that opportunity. In the case of Macoupin County farmers Scott and Dara Simmons, that door of opportunity opened, and they walked through backward. “In 2000, Scott decided he wanted to start something new and thought he might want to raise buffalo,” Dara explained. 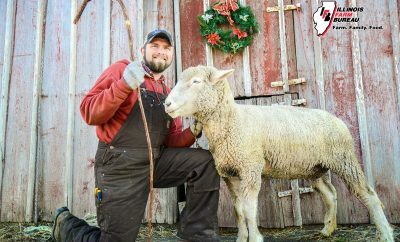 He quickly realized buffalo might not be the best fit for their farm and management capabilities, so he followed up with a farmer friend in Missouri who raised longhorns. 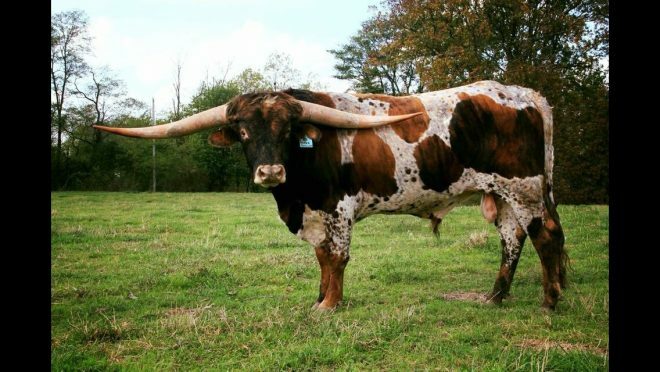 At first sight of the longhorns, Scott fell in love with the cattle and bought several cows and a bull. “At that point, not only did we not have a hauling trailer, we didn’t even have the land acceptable for the cattle to graze,” Dara recalled. “He had to come back home, rent a trailer and find a piece of land to rent and then go back to get the cattle. “And that’s how SS Backwards got started,” Dara added, referring to the name of their operation. The Simmons’ Medora farm is home to 60 grass-fed, longhorn cows. The longhorn cattle business took off from there, and Scott and Dara focused on the breeding and developing a seedstock business. They’ve also developed their land into grazing pastures for cattle. The farm grew nicely – until the drought of 2012. 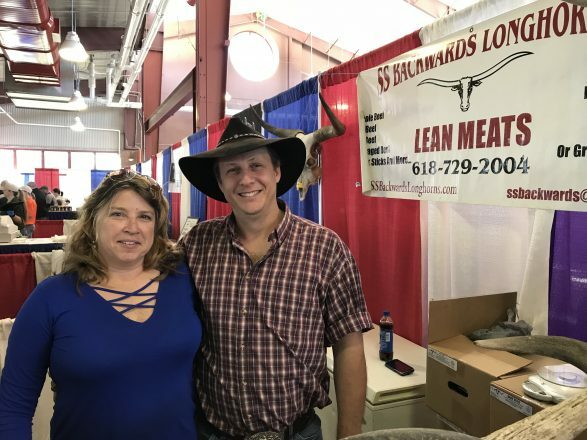 Scott wasn’t interested in doing anything but raising cattle, so he told Dara that she could go into meat business. SS Backwards meat, featuring leaner Texas longhorn meat, has carved out a niche market. Today, the Medora farm is home to 60 grass-fed, longhorn cows. The entire family pitches in, both on the farm and on the weekends at special events. To learn more about how to find SS Backwards meat, visit its website, www.ssbackwardslonghorns.com. With Scott’s idea to try something new and Dara’s leap into the meat business both well in the background, SS Backwards has become a successful business. When that door of opportunity opens, the Simmons family found it doesn’t matter whether you go through the forward or backward – just that you step through to the other side.